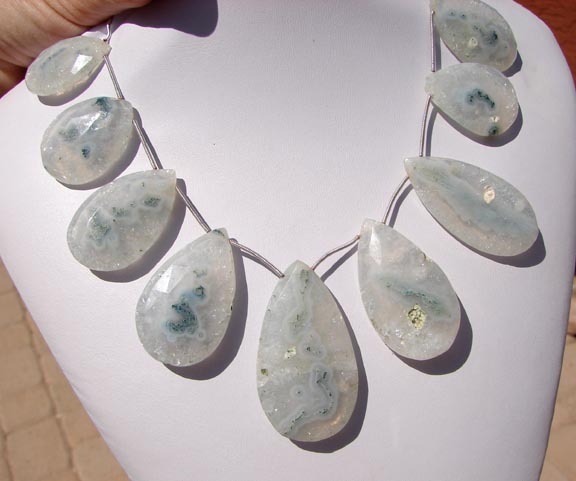 Solar quartz is a rare formation, mossy like inclusions, in white quartz. 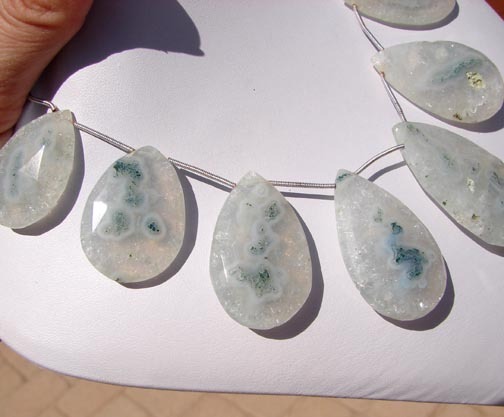 These are a very pretty crystal, with pale blue tint to them. Natural color, the 'eyes' are a darker blue-grey, and mossy green. 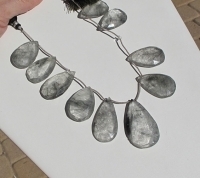 Faceted briolettes, longer teardrop shape, they graduate in size, the center is 50mm long, by 27mm across. Faceted on both sides, they have a sparkle my picture does not capture. 10 pieces on this string. Click on 'Photo' tab to see another view.